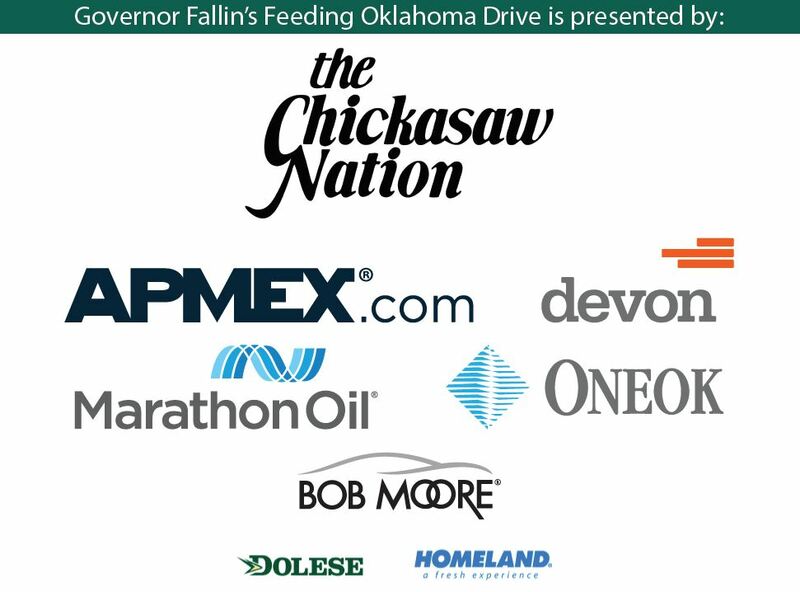 Please join Governor Mary Fallin's Feeding Oklahoma Drive from October 1-31, as we work together to fight hunger in Oklahoma. This year, we've set a goal to raise at least 2 million meals and we need your help. If you would also like to host a food drive, please sign up here.